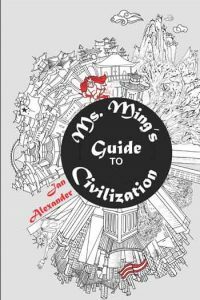 Ms. Ming’s Guide to Civilization will be published on September 13, 2019 by Regal House Publishing. 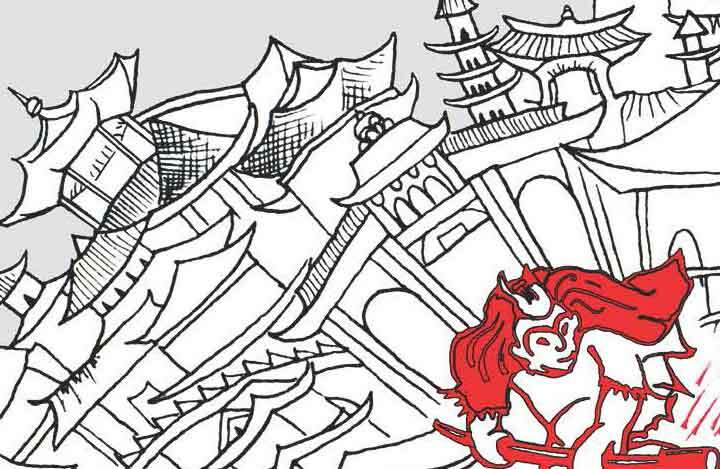 Ming, born in a bleak outpost of Sichuan province, finds an unexpected glimpse of the world beyond when she meets a talking monkey with golden eyes and supernatural abilities—the immortal Monkey King, with whom Ming’s destiny is inextricably intertwined. Determined to become a writer, Ming finds her way to New York, but to make ends meet she goes to work for a crime ring and returns to China on the lam. Hope arrives in the form of her American friend Zoe. Together, they travel to the village of Ming’s birth, where the clouds writhe like phantoms and the rain never stops, and where Ming and Zoe join forces with a certain down-and-out immortal who has an ambitious plan to save the world from capitalism run amok. When a nation of tycoons and financiers suddenly and inexplicably decide that the key to happiness lies in sharing one’s wealth and pursuing a contemplative life, nobody suspects the newly formed tech company run by Ming, Zoe, and William Sun. Hyper-capitalist China rapidly becomes a paradise for artists, thinkers, and lovers—a rollicking playground where the air is clean and the strangest words you can hear are, “I can’t afford it!” But it’s a short-lived Xanadu once human nature begins to intervene. In Ms. Ming’s Guide to Civilization, as in life and politics, every action provokes an equal and opposite reaction.